If you are considering selling timber on your property, you want the assurance of a trustworthy buyer. That’s where Walnut Timber Buyers comes in. As a licensed timber buyer in IL, we bring the utmost professionalism and adherence to strict standards to the table. With us, all transactions are legitimate, thanks to the reputation and licensure of our company. Never trust a logging company that is not licensed and insured. Being licensed means we are held to higher standards and must bring a certain level of professionalism to each interaction. We are also accountable for every action taken. Delivering some of the best services in the industry, we provide professional logging services. 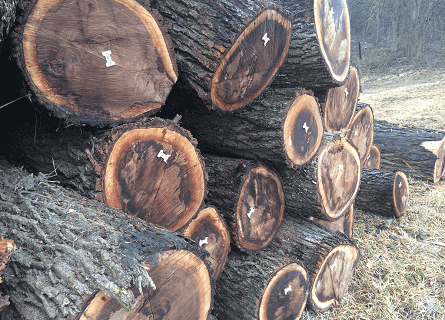 If you are a landowner, farmer, logger or importer and want to sell walnut trees, make the right choice with Walnut Timber Buyers. Also, we don’t just service Illinois! We are a licensed timber buyer in Iowa, Missouri and Wisconsin as well. If you have walnut and are wondering how to sell timber in IL, consider only licensed walnut tree buyers. 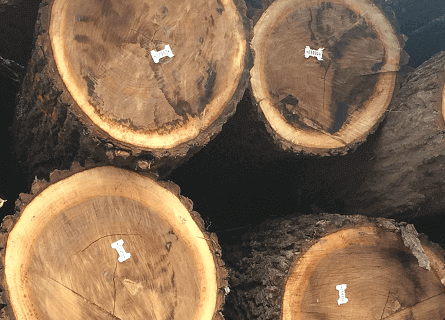 As buyers of standing timber and cut logs, we specialize black walnut logs and white oak veneer. We are also select harvesters, which means we only harvest mature trees for maximum profit. And as direct exporters of Midwestern hardwoods, you don’t have to pay inflated prices due to a middleman. We want to get you the best money for your timber, unlike other companies that will try to lowball you. We handle large jobs of all kinds here at Walnut Timber Buyers, from farmland to recreational properties to hunting grounds. Plus, there is no middle man and thus a minimum footprint, as you’re selling directly to us. This means there’s less impact on your property for the same payout. From free estimates to photo updates to full cleanup, find out why our licensed timber buyer in IL is the best. To ask more questions of our licensed timber buyer in Illinois, please contact us at (309) 326-9711 or fill out our online form. We will contact you within 24 hours. For your convenience, we are located at 2899 Bartruff Lane in Pekin IL.